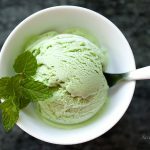 Basil Mint Ice Cream – Made with fresh herbs and all natural ingredients, this simple ice cream puts store-bought varieties to shame. My babies! Almost too cute to eat. Almost. I’ve been growing three types of tomatoes: heirloom, cherry and grape. 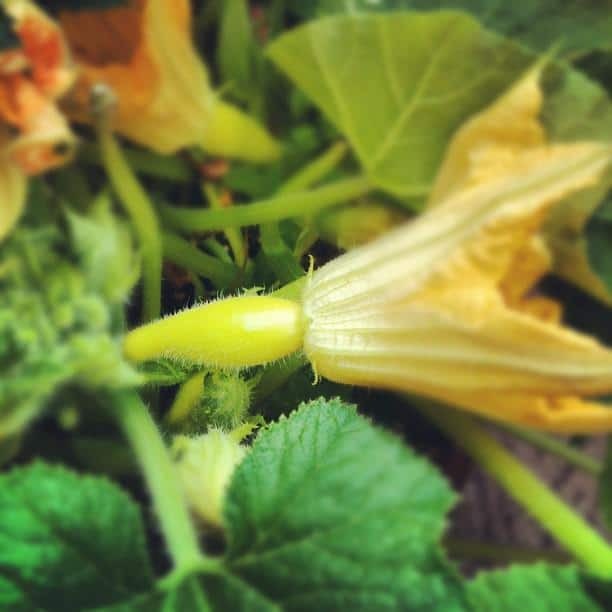 I’m also growing strawberries, zucchini, squash, cucumbers, jalapenos, bell peppers, and pretty much every herb I can get my hands on. The herbs have been an interesting experience. For the first time ever, I actually have MORE herbs than I know what to do with as opposed to in the past when I’d have to pay way too much and then struggle to finish them all in time. Suddenly I find myself making quite a bit of pesto, herb marinades and my guilty summer pleasure: fresh herb ice cream. I’ve been making basil ice cream for years and now my mind is brimming with possibilities. Rosemary citrus ice cream. Lavender honey ice cream. Have you tried any combinations worth recommending? Basil mint is my favorite combination at the moment. It’s a real crowd pleaser! I’ve used a LOT of herbs in this recipe. You can get away with using less, but the flavor will be more subtle. The jury is still out for me on whether blanching the herbs makes a noticeable difference. My culinary school instructors insisted this is the way to go so I continue to blanch the herbs. 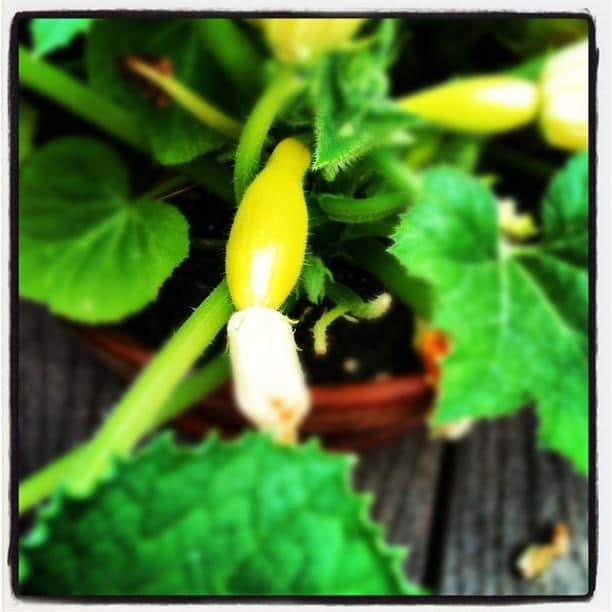 It apparently brings out the flavor, and the wilting certainly makes managing such a large quantity of herbs easier. You can adjust the ratio of cream and milk as long as you use two cups total. For an incredibly rich ice cream, use all cream. If you prefer the ice cream a bit lighter, use a mixture of half cream and half milk. 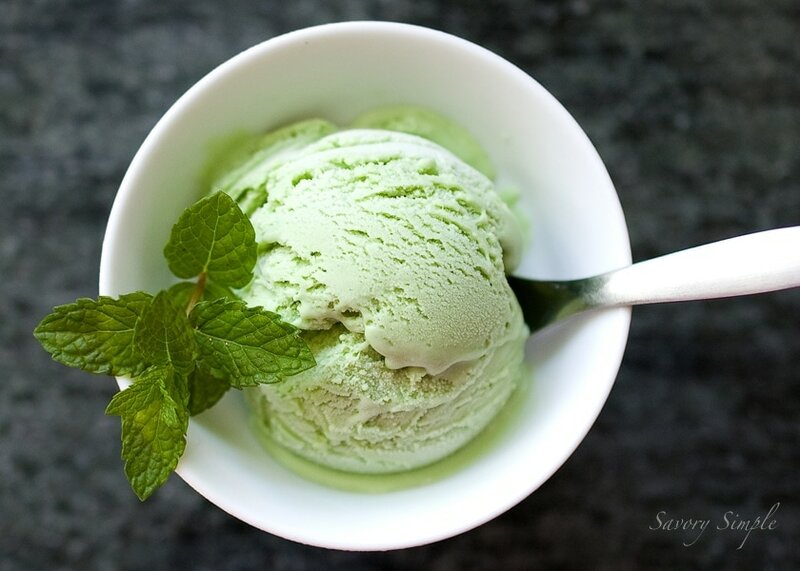 Basil Mint Ice Cream - Made with fresh herbs and all natural ingredients, this simple ice cream puts store-bought varieties to shame. Quickly blanch the basil and mint in boiling water and then transfer the herbs to an ice bath to halt the cooking process. Drain and set aside. Add cream, milk and a splash of vanilla to a saucepan on medium heat. Bring the liquid to a gentle simmer. While the cream is warming up, whisk egg yolks and sugar together in a bowl. Make sure they’re well combined. When the cream is just starting to simmer (don’t boil it), slowly temper it into the yolks while whisking. Pour the mixture back into the saucepan and turn the heat down to medium low. Stir in a figure 8 motion for several minutes until the mixture coats the back of a wood spoon or rubber spatula. Remove from the heat and add the herbs. Puree the basil, mint and cream in a blender. Allow the mixture to infuse for at least an hour for best flavor. Strain the cream through a fine mesh strainer and allow to chill thoroughly in the refrigerator. If using, stir in a few drops of green food coloring. Make ice cream according to the manufacturer’s instructions. Congratulations on your new home, and your garden too! Your ice cream looks divine, and so refreshing. I love that beautiful mint green colour it has. Gorgeous photos too! Thanks so much for your recent visit and kind comment. How delicious this looks! I have basil and mint growing in my garden and would love to try this recipe. 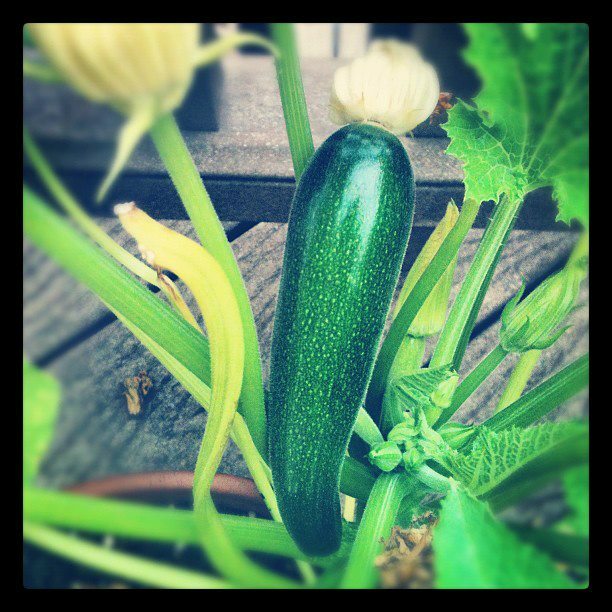 I love having a garden so I fully understand your happiness in having one at your new home! oh, yum! we also grow a ton of herbs + veggies in our garden (including both basil + mint) so i know what you mean about having more herbs than you know what to do with. i’ve gotta try this ice cream! I want some of this ice cream now. Now. Basil and mint are favorite flavors of mine. Congrats! This looks like an amazing ice cream. I can only imagine how fresh and delicious this ice cream is, looks wonderful! This sounds amazing! Cant want to get home and whip some up! This looks lovely. I recently saw basil ice cream for sale for the first time and made a note to go find a recipe and try it. I think the mint would add a nice balance, so this sounds even better. I just bought an ice cream maker, your recipe just come at the right time, i must try out this refereshing ice cream! Let me know what you think! I am in love with my ice cream maker! 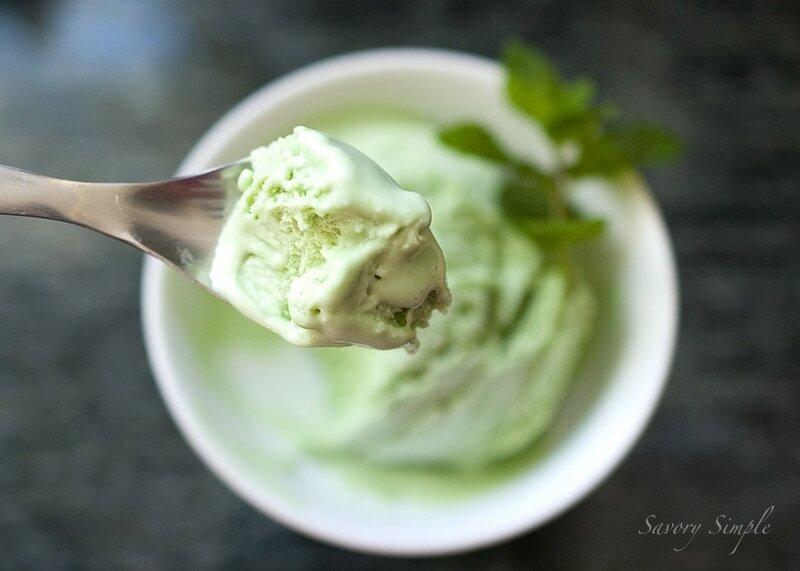 I love this Basil Mint ice cream and I could go for 2 scoops right now! Awesome color. Thanks a lot for sharing.